Want a simple Christmas craft to make your home smell delicious using just two ingredients you probably already have in your kitchen? 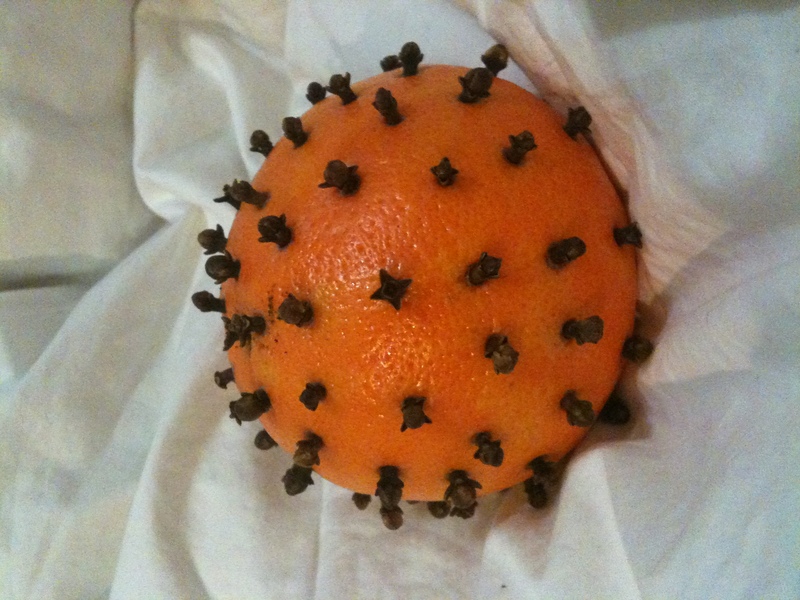 Pomanders! 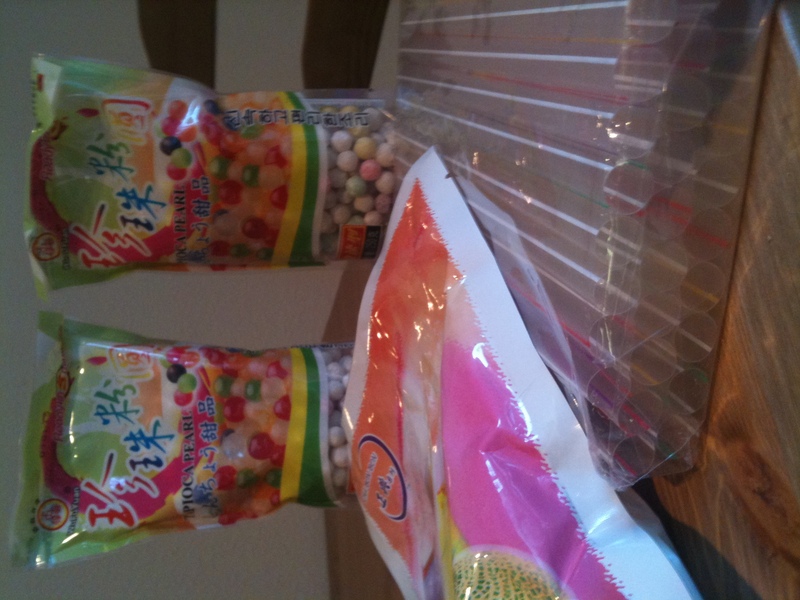 Tapioca pearls, they had black, white and multicolored at the store. Of course I got multicolored. 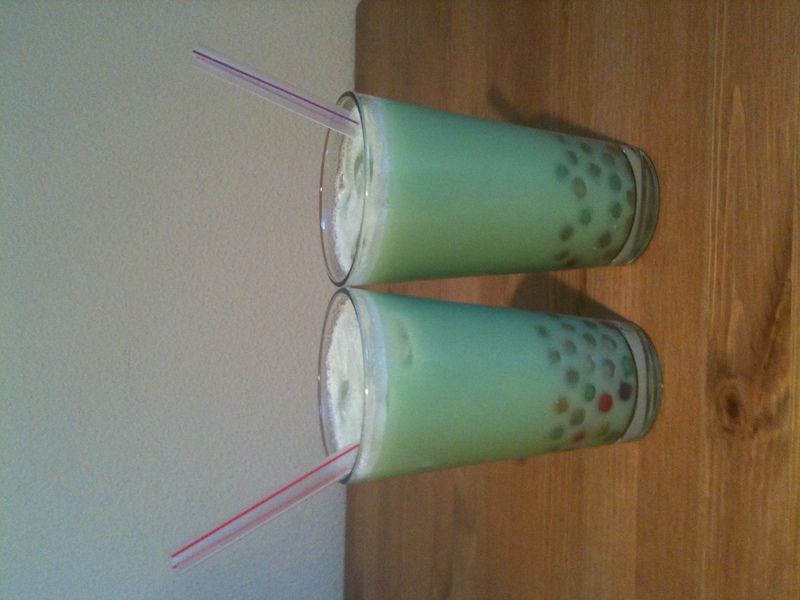 I picked up a honeydew flavor drink mix as well. And you can’t forget the chunky straws! 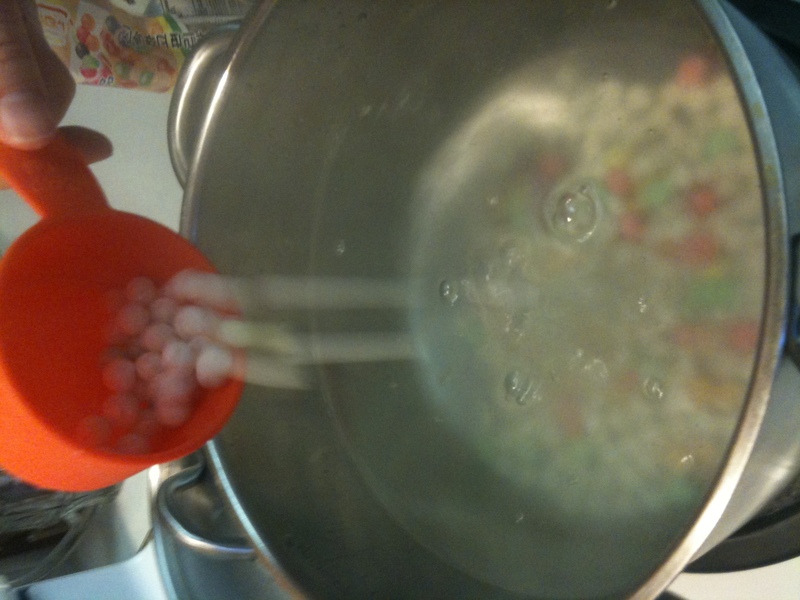 Boil 10 cups of water, then add in one cup of the pearls. Give the pearls a gentle stir. Right away they will rise to the top of the water. When they do, cover them and boil for 5 minutes more. 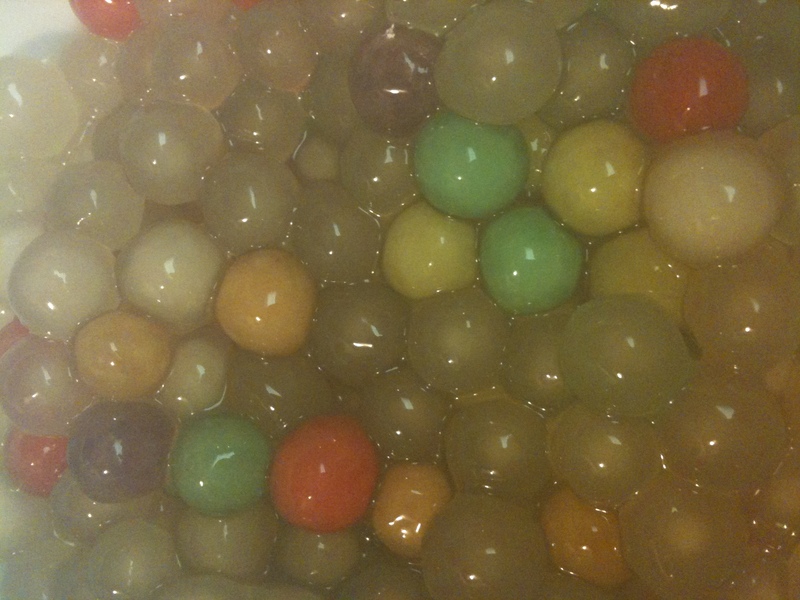 After 5 minutes, take the pearls out and drain them. Mix them with some simple syrup (1 cup white sugar, 1 cup brown sugar, 2 cups water. Heat in a pot and remove from heat as soon as it boils.) I think the simple syrup step is to keep them from sticking together. Next, in a shaker combine: 2 ounces simple syrup, 2 tbs. drink powder, and 2 tbs. non-dairy creamer (I didn’t have any so I used 2 tbs. milk and it worked perfectly). Add a few ice cubes and fill to the top with cold water. Shake to combine, making sure the drink powder dissolves. Spoon some finished tapiocas into a glass, and pour the liquid over it. And that’s it! 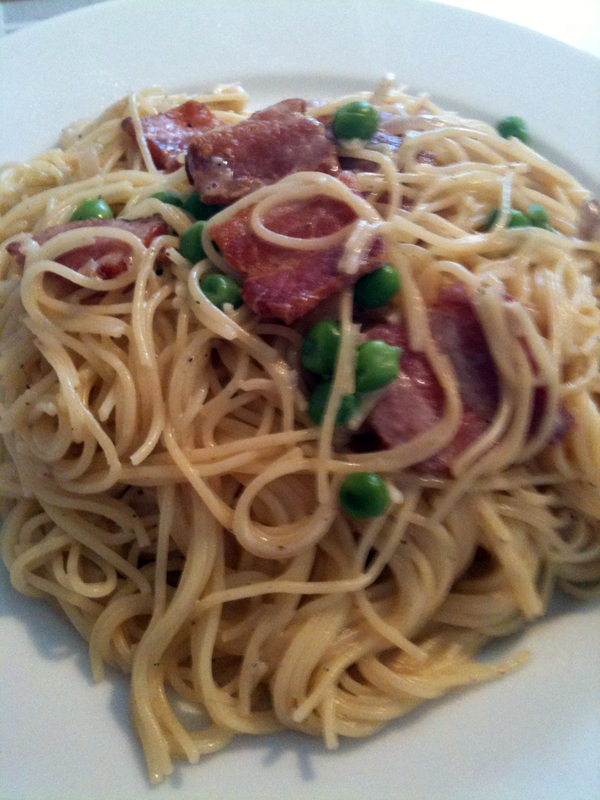 It looks (and tastes) so impressive but is really quite easy. I will definitely pull this recipe out next time I have friends over. Enjoy! I have a serious problem with craft supplies. 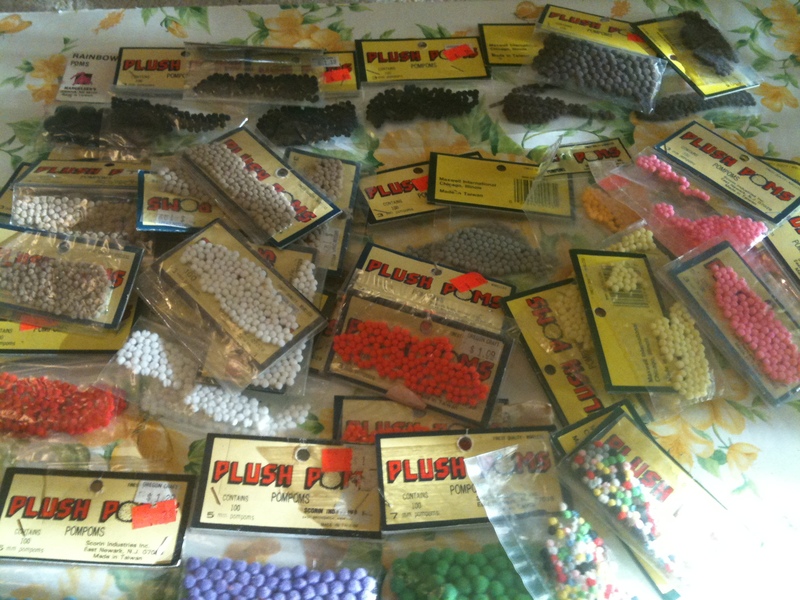 They are coming out of my ears yet I keep getting more…sometimes I get craft supplies I don’t even know what to do with! 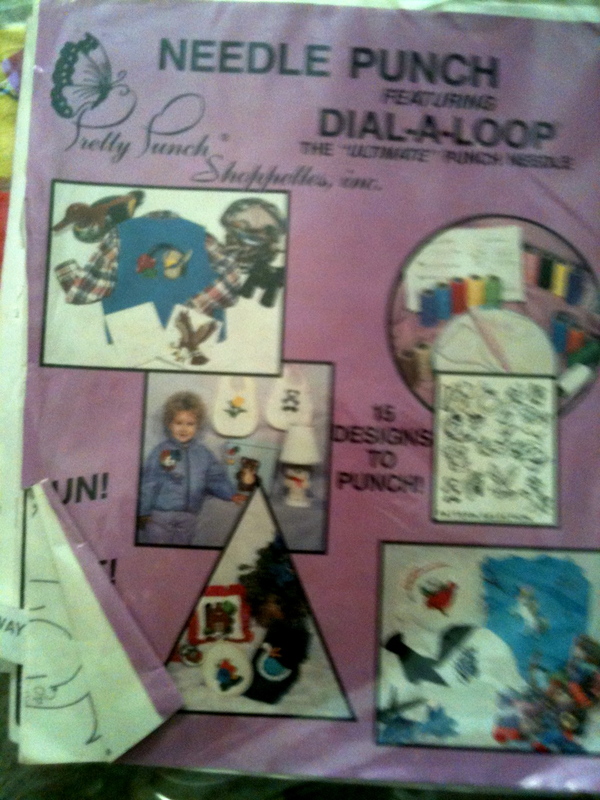 Take for instance, this bag of pom-poms I got at Goodwill. It was a dollar, about the size of a sandwich, and I didn’t own any pom-poms so I picked it up. 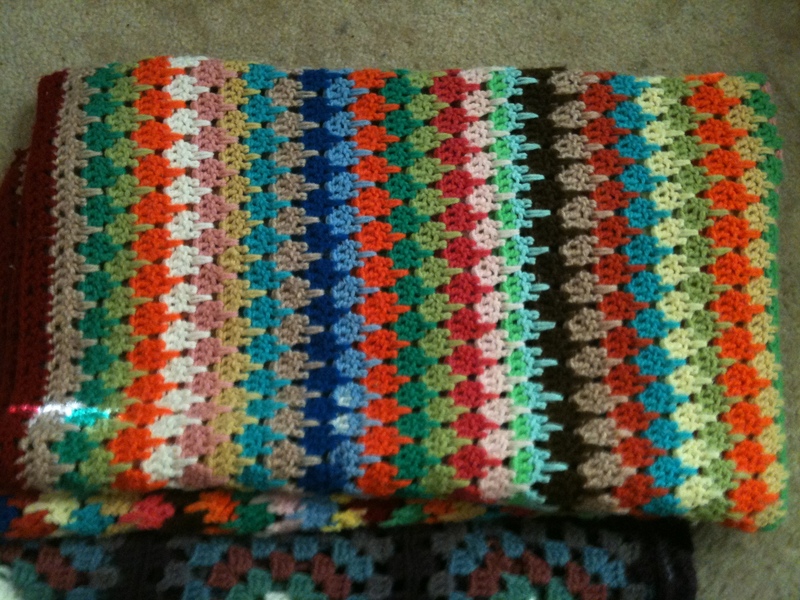 Well it turned out to contain 4500 pom-poms, in 13 colors (and multi-colored)!!! Why on earth did I buy these? I think I’m going to take a thin needle and some clear beading thread and make them into an itsy-bitsy colorful garland. The theme of my living room right now is pretty much “rainbow,” so it’ll fit right in. Haha. Come to think of it, thats the general decorating scheme in my craft room as well. I just love multiple colors, they are so bright and inspiring. 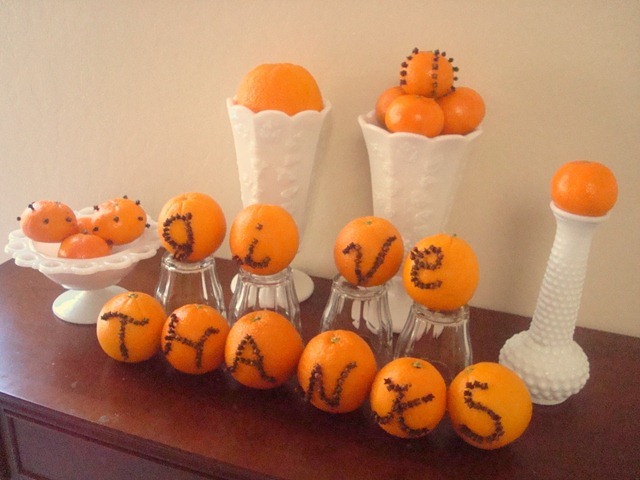 Thats why I love Heidi Kenney (of My Paper Crane)‘s house. So cute! I headed out to Value Village for my first time today. Little did I know, on Monday everything with a yellow tag is only 99 cents! 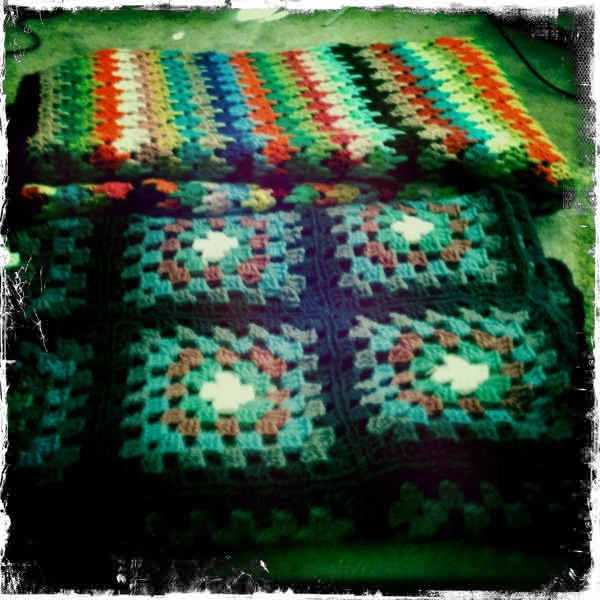 I picked up two of the most beautiful hand crocheted afghans. If anyone has tips on how to wash them I would appreciate it. Probably will just throw them in the washer on a cold cycle since they’re made of acrylic yarn. It makes me a little sad knowing that someone worked so hard on these beauties and now they are selling for only 99 cents! But I take solace in the knowledge that I will love them and get lots of use out of them… I’m one of those people that always has a blanket on my lap when I’m at home, and even at friends houses sometimes! My friend Rosie jokes that i use her throw blankets more than she does. 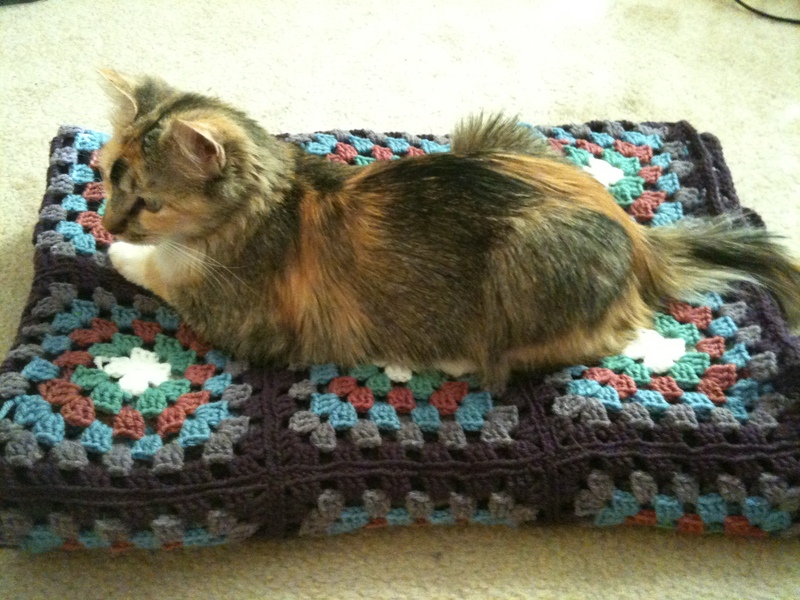 Of course Knitty Kitty had to check it out right away to see if she approved. Not so fast! Introducing Knitty Kitty/Stella’s new younger sister, Kodiak. We adopted her a little over a month ago, and after a couple terrible weeks of sickness she is fitting in wonderfully at our house. 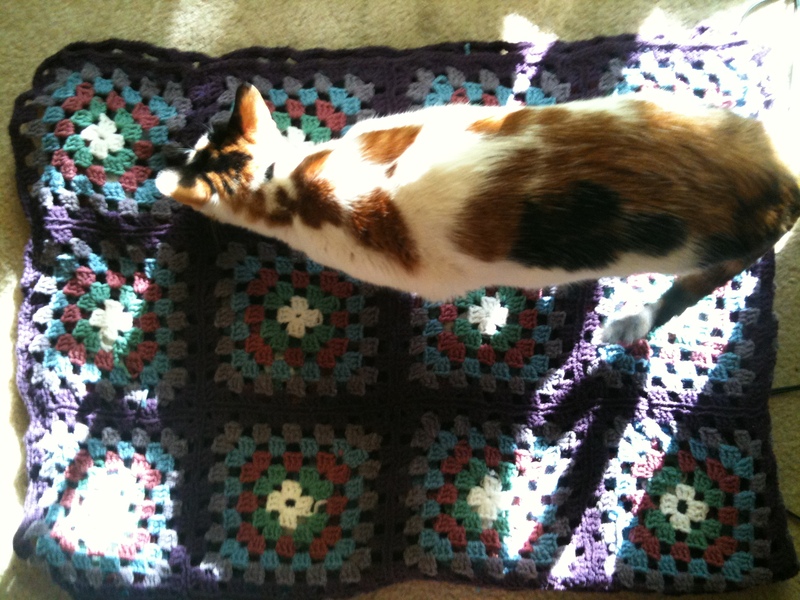 She already claimed the purple blanket as her own. I just love the iPhone Hipstamatic app! Did you see how in the newest (August 2010) issue of Martha Stewart Living they used Hipstamatic for their article on old-fashioned bikes? Love! 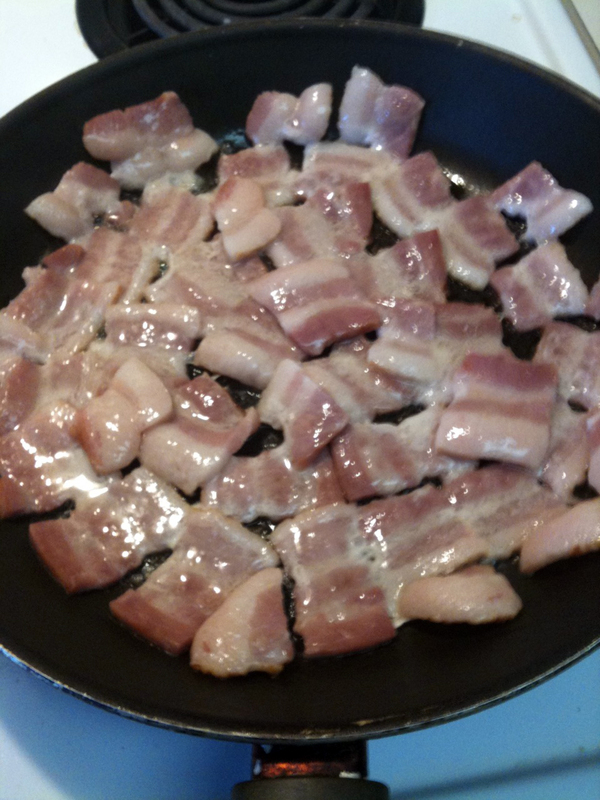 Vegetarians beware: this post contains photos of raw bacon! Once it starts to thicken up, add it to the pasta! 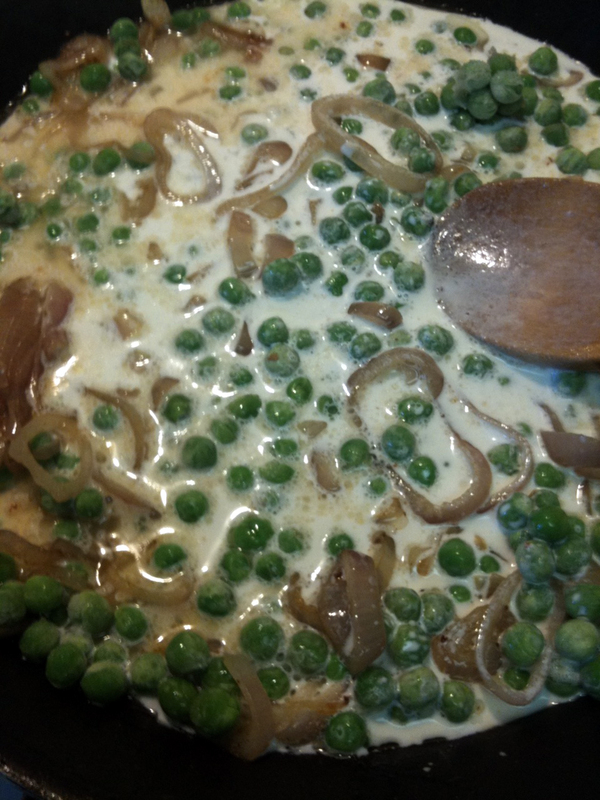 I’ve had good results with all sorts of veggies, like squash and onions instead of peas and shallots. 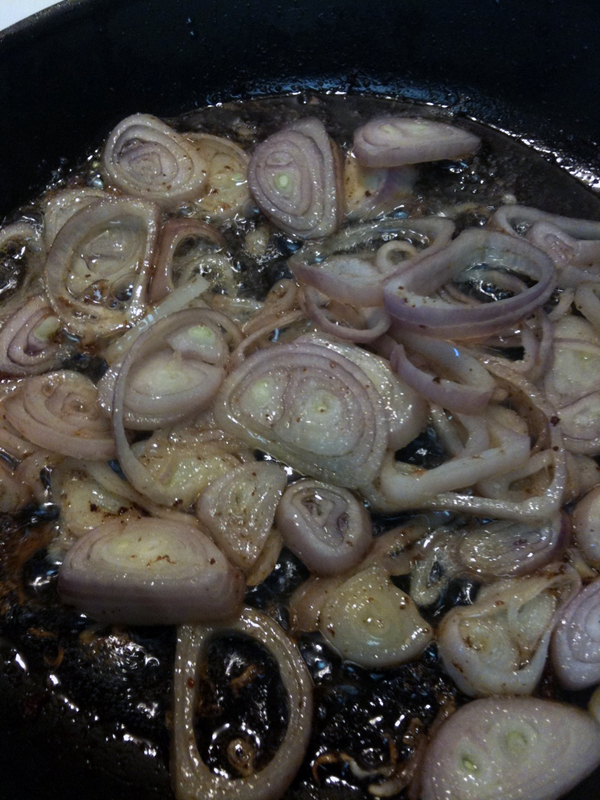 Every veggie tastes better cooked in bacon grease! I’ve mentioned before how much I LOVE S.C.R.A.P. It is the absolute best craft supply store/non-profit. I was driving past today and couldn’t resist popping in for a quick look. 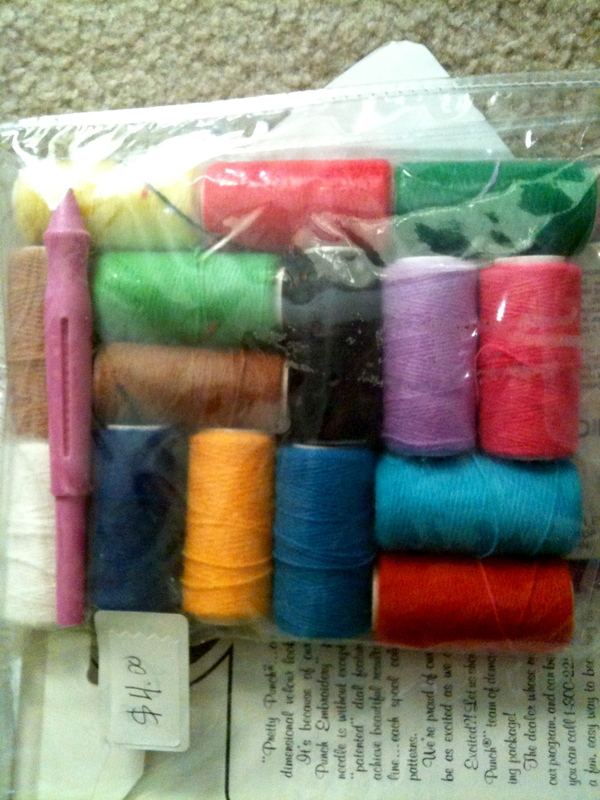 I headed straight to my favorite bin, where you can get full embroidery kits for less than a dollar. 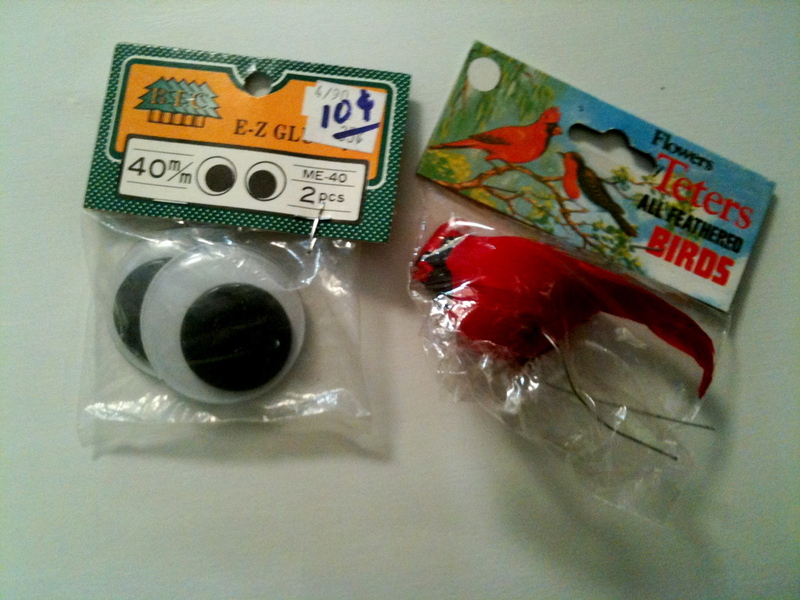 I ended up picking up two items, totaling only 50 cents! 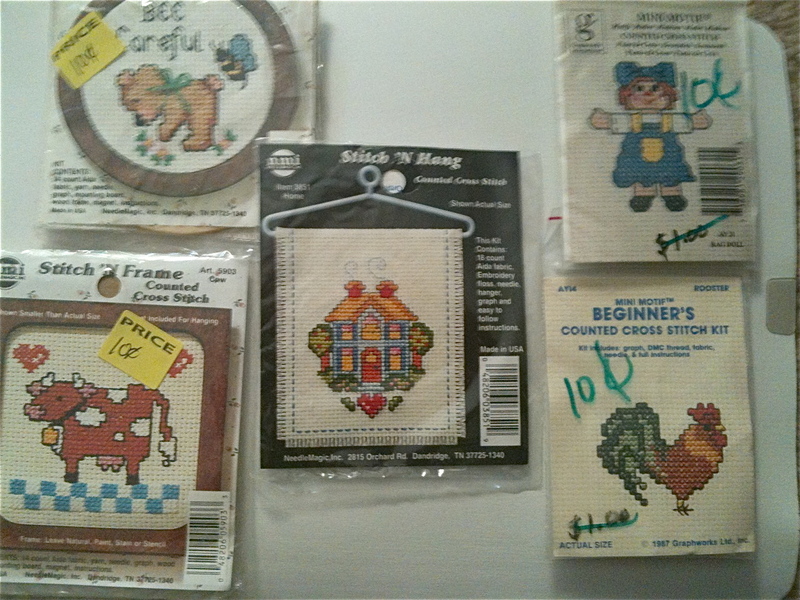 I picked up a tiny little embroidery kit which includes everything, even the kitschy mini wire hanger to display the final project on. It said 50 cents but I got it for only a quarter! My favorite items to get from S.C.R.A.P. 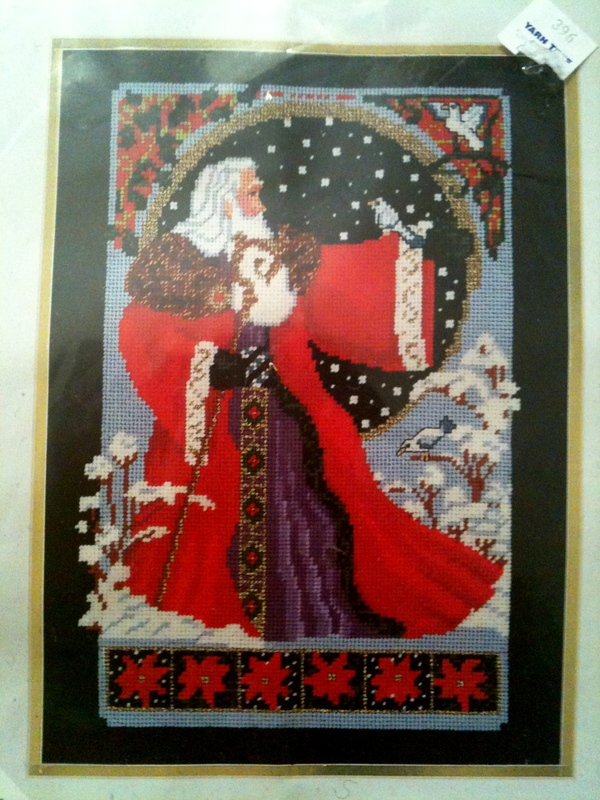 are all their kitchen/gardening/cooking embroidery kits. One day I hope to display them all on a huge wall of kitsch above my kitchen table. 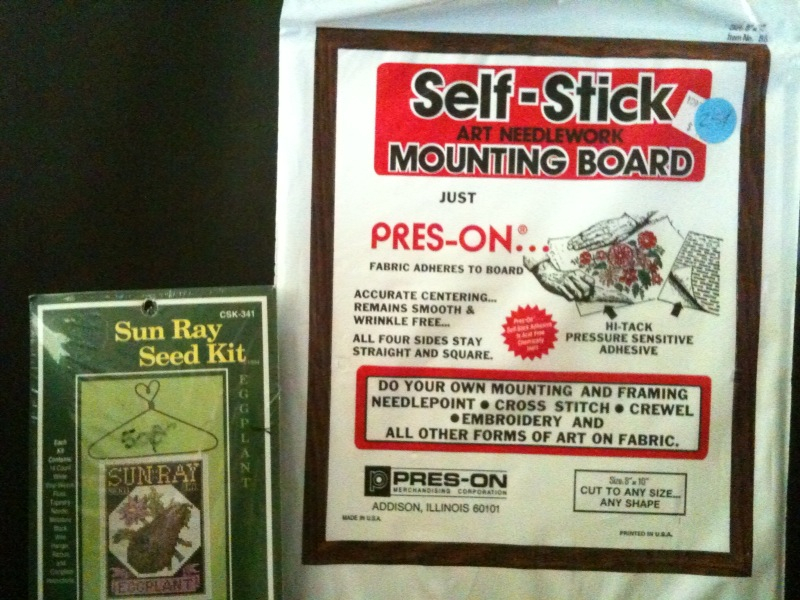 The second item I picked up is a cool mounting board for finished embroideries or any other type of fabric art. 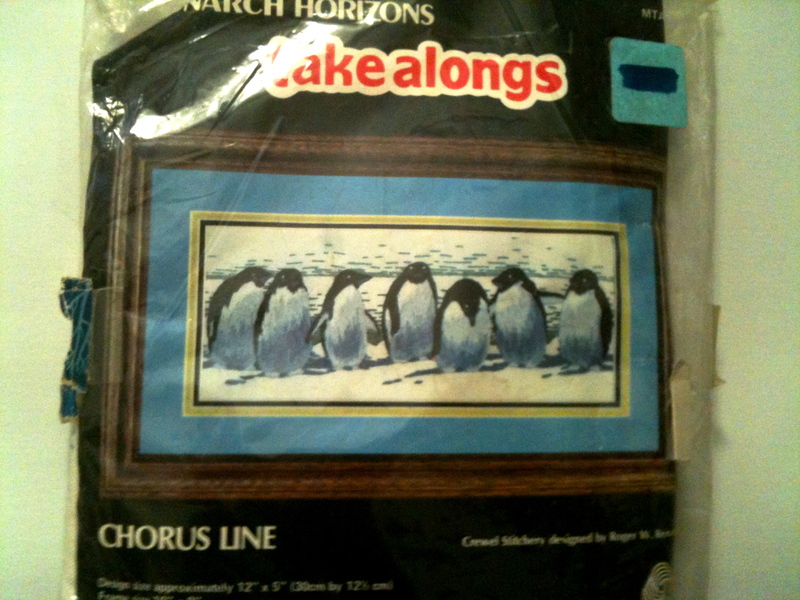 Just what I need to display one of my already finished kitchen embroidery pieces! I love that I picked up these two cute things for only a measly 50 cents. 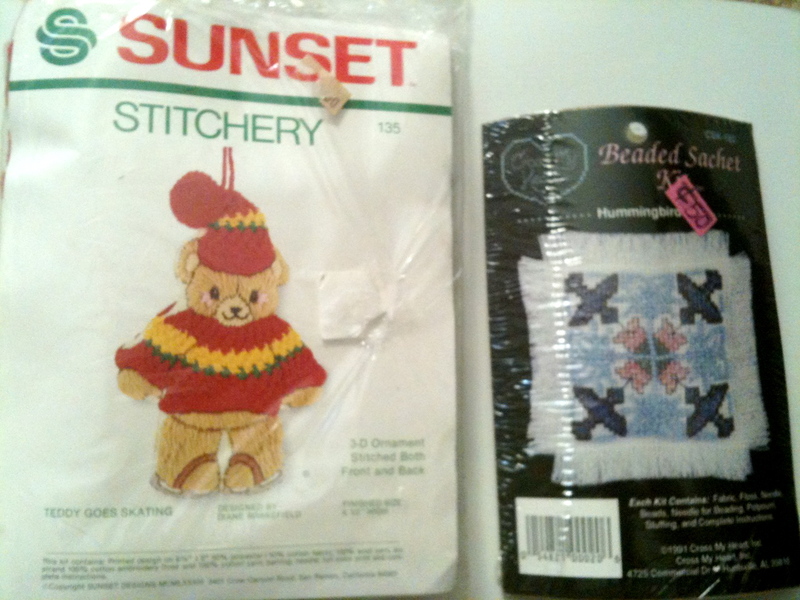 Tagged as cheap, craft, craft kit, craft supplies, DIY, embroidery, S.C.R.A.P.